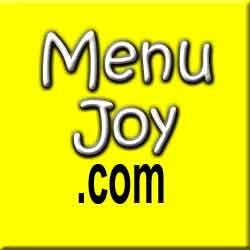 As anyone who is a regular reader to this blog knows ........LAURA CAN'T COOK ! She can't fry....saute....roast.....braise ...or steam . But today ......she boiled ! What made her try her little shaky hand in the kitchen ? PIEROGIS ! Sauerkraut pierogis to be exact . She's been looking at these things for months now at Shaw's Market . 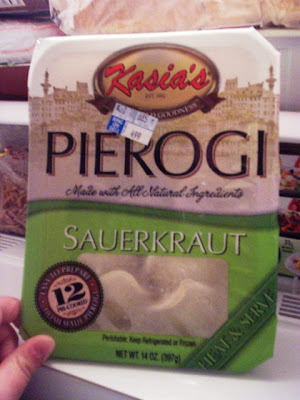 Since sauerkraut ANYTHING doesn't interest me ....I never bought any . But Laura lusted after them enough to go during the week and pick up a pack ....for herself . So if she was eating them .....she had to make them . 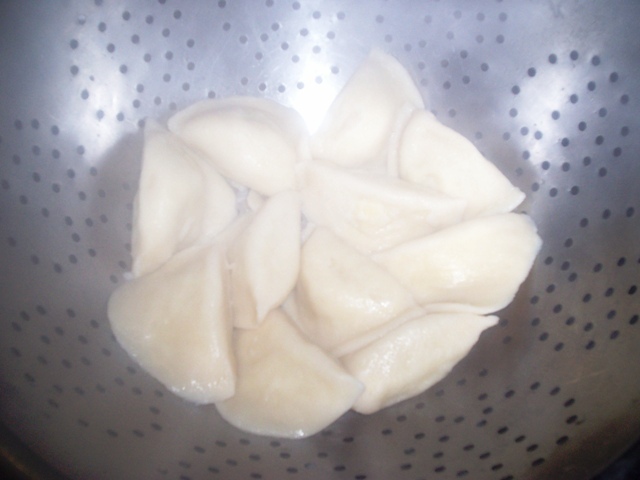 Thus ......LAURA BOILED ! First came a BIG discussion on how to BOIL water . No really .....this happened . I explained the bubbling process and she was off. She read the directions on the package ....( it's OK ....she reads REALLY well ) ,,,,and when the water was ready ....she put them in . They can be used refrigerated or frozen ....( ours were frozen ) ...but since they were " heat & serve " ...they were popping up to the top in 3 minutes . Then came Laura's WORST nightmare ...... pouring the HOT water into the colander . The little beads of sweat on her forehead were not from the steam .....she was nervous . But guess what ? She did it ! 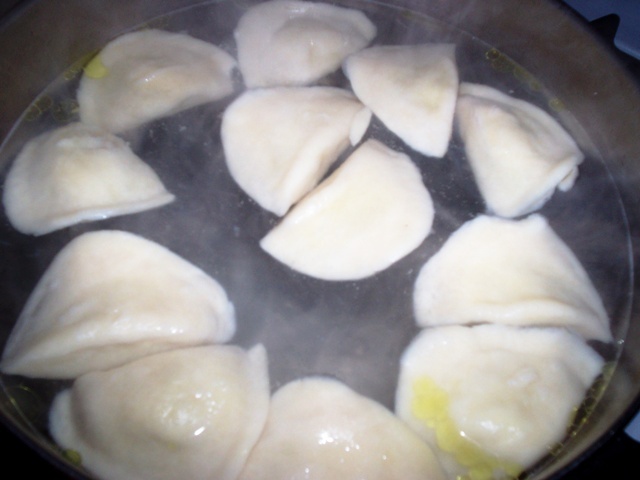 She strained those pierogis like MARTHA STEWART . Then she plated ....buttered and seasoned ....and dug in . VERDICT : DELICIOUS !!!! Laura said they were well-stuffed and the sauerkraut was nicely spiced . The pierogi shells were large and thick enough to hold all that filling .She topped them with butter this time but said she'd love to try some other toppings ...like sour cream or onions . Next time .....cause she'll definitely be getting these again . 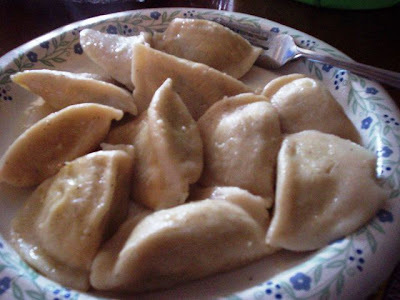 KASIA'S PIEROGI is made with all natural ingredients and come 12 to a package . They sell for $ 4.99 at SHAW's and are found in the ready-made food section . So pick some up ....you won't be sorry . Laura wasn't ...and it made her cook !